Lenovo ThinkPad X60s is an ultraportable class of notebook powered with ultra low voltage Intel processor and features 12″ XGA 1024 x 768 LCD panel, long battery life plus almost all available wireless options – 802.11a/b/g Wi-Fi, Bluetooth, and Verizon’s high-speed EVDO network for mobility. 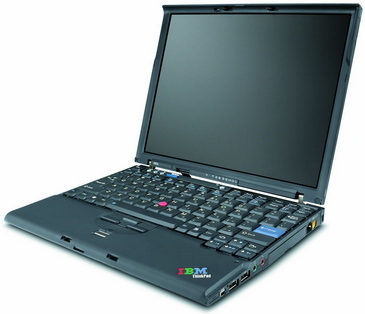 ThinkPad X60s weighs just 3.5 pounds and has a dimension 0.5 x 8.3 x 0.8 inches. Bottom Line: For those who live out of a suitcase and fly frequently, this ultraportable provides integrated EV-DO and plenty of battery life. Pros: More than 7 hours of battery life. Integrated EV-DO. Best keyboard. Excellent management utilities. 3 USB ports. Cons: No built-in optical drive. Hard-to-use docking station. Runs a little warm.